Ken Yasuda has received much recognition in many different fields. Not only was he a pro-bodybuilder who stood on the same stage as Arnold Schwarzenegger like at Mr. World many years later, but also his excellence in business, writing and arts has attracted more fans. As Ken always admires hardworking self-made people, he insists, “nothing comes easily. You have to believe in yourself and pursue what you love.” His numerous covers in Ironman Magazine Japan and over 30 pages of his training, activities, and competitions per month over 4 years are still the top record in Japan’s history. 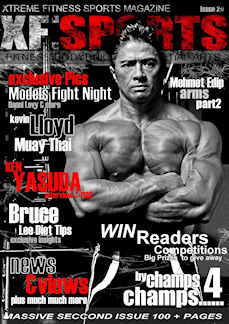 He has been seen in many publications in the US such as 1) Fitness & Bodybuilding : Muscle & Fitness, MuscleMag International, Ironman Magazine, Planet Muscle, 2) Mixed Martial Arts (MMA) : Ultimate Grappling Magazine, 3) Martial Arts : Masters, Martial Arts Masters, Blackbelt, 3) Newspapers : Asian Weekly, Los Angeles Times, Kyoto Times, Rafushimpo, Yomiuri USA, etc. 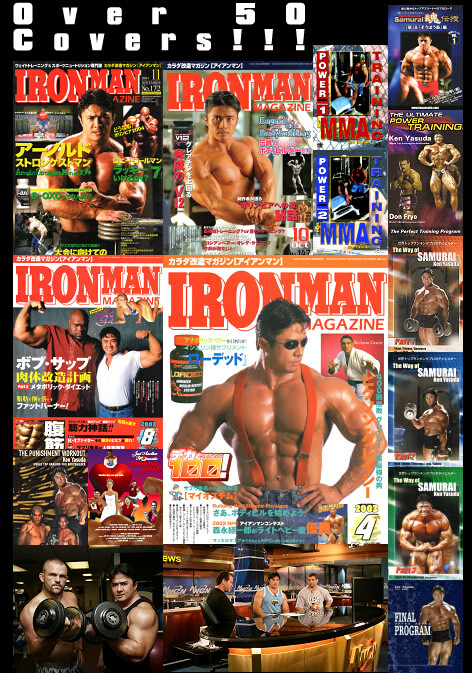 In Ironman Magazine Japan, Ken has appeared in his Talk Show Series with many of the world’s top athletes. All these guests are those Ken respects as achieved pro athletes and self-made men with passion in what they do. During the IFL season in 2007, as the headcoach of The Sabres he was consistently busy doing radio appearances in Chicago, Florida, Philadelphia Seattle, New York, and Houston. During this year, his appearance on the Best Damn Sports Show with Bas Rutten, the NBC Morning News Philadelphia, and the NBC Sports News in Washington showed his charisma as a leader of a MMA team with his dedication and commitment to the sport and his responsibility. He insists, “If you decide that you want to do this, you have to do it all the way. Never quit in the middle. You put your heart in it and give it all you’ve got.” Oftentimes, he was interviewed about how he ran his team to be undefeated in the season. His answer was very simple, “I care about what I do.” It is one part of his samurai philosophy and amazingly it applies to everything he does.